When we think of our smiles, the last thing often can be the thought of the gums that support our teeth. These crucial components can be overlooked, yet are very important to consider when caring for your oral health. Gingivitis, or periodontal disease or gum disease, is a non-destructive disease that develops due to build-up of bacteria in the mouth. This bacteria builds up over time to turn into plaque, which is the root cause of gingivitis. Remove or avoid the build up of the bacteria in your mouth by maintaining dental habits that are conducive to beneficial overall health. At a minimum, brush twice daily and floss nightly. Ideally, you should brush within 30 minutes after you eat. This removes any possibility of developing plaque and tartar. A good tooth cleaning every 6 months will work wonders on maintaining dental health. Not having routine evaluations will lead to the development of cavities and gum infection. The key part of the whole process is to never get this far!! Staying out of our office is our goal for all clients. 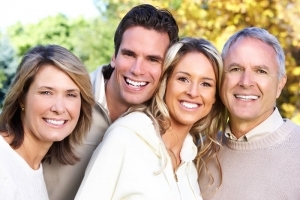 We want to educate everyone about how to get into the best dental care practices at home. Doing so means you won’t go looking for an emergency dentist at midnight after the toothache you’ve had all week is just too much! Emergency dental services are costly and will definitely break the bank, if you can even find someone that will treat you outside of normal office hours. We suggest trying some of these immediate solutions to your issue before considering alternative options through your dentist. A good dry mouth remedy is something that is simple and helps you produce enough saliva. Use gum or candies (sugar-free). The presence in the mouth should produce the glands to release saliva. Over the counter solutions should include both carboxymethylcellulose or hydroxyethylcellulose. These issues are an indication that there is a slight deviation from ideal dental function. Before consulting your dentist, consider your habits and try to identify if you are doing something in your daily habits that are conducive to creating a dry mouth, creating problems for your gums, or producing a bad smell. Don’t wait until your body is giving you indications of problems! Get preventative care. Schedule periodic and habitual dentist appointments with your local dentist so that you can avoid these issues. A dollar spent in preventative care is $10 spared later on! Carrying a mouthwash at all times is a good option. This does many things. It helps avoid gum disease, bad breath, and dry mouth. The active ingredients work to clean the teeth after eating, remove unwanted deposits, and moisturize the mouth! So, if you are looking for a local dentist near you, don’t settle for less. Our team has been serving Wilmington, Delaware for many years. We would love to meet with you and show you why! Simply click here and fill out the simple form to schedule an initial meeting with us!